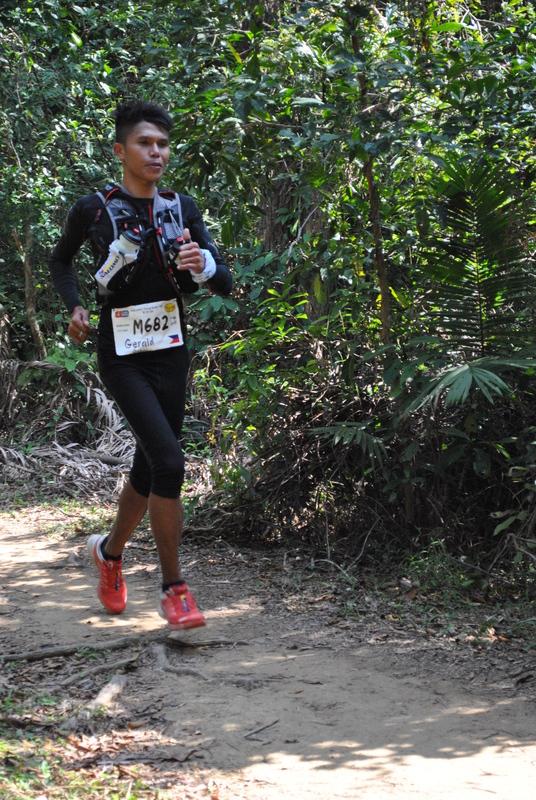 Marcelo Bautista of Baguio City finished as the top 15th Finisher in the newly-concluded 2013 Vibram Hongkong 100K Ultra Trail Run held on January 19-20, 2013 along the famous McLehose Trail in Kowloon. It is the first international running event for Marcelo after winning eight (8) consecutive ultrarunning events in a span of nine (9) months last year held in the different regions of the country. Marcelo crossed the finish line in 12 hours and 8 minutes after the race started with 1,225 participants coming from 40 different countries. This ultra trail run had become prestigious after its two past editions where the registration for this year’s race had lasted for only 48 hours or two days. Only 21 Pinoy Runners were able to beat the 48-hour registration period. Gerald Sabal of Bagumbayan, Sultan Kudarat finished in 33rd place after running among the top 10 runners in the first half of the race. he crossed the finish line in 13 hours and 21 minutes which is two hours faster than the top two Pinoy finish times recorded in last year’s edition. Gerald, being the faster runner than Marcelo on the first half of the race, had complained of cramping muscles on his both legs at the Km 65 section resulting for him to walk and stop along the way. “I did not notice Marcelo passing me as I was busy trying to massage my legs as they were tightening up due to cramps”, said Gerald who has more knowledge of the terrain and the weather as he was able to conduct a recon run on the 2nd half of the route last July 2012. The Vibram Hongkong 100K Trail Run is on its 3rd year as it started with only 200 runners on its first year and then allowed 750 runners on its 2nd year coming from at least 20 countries. However, for this year the participants were increased to 1,225 runners coming from 40 countries where the slots were filled up in two days. 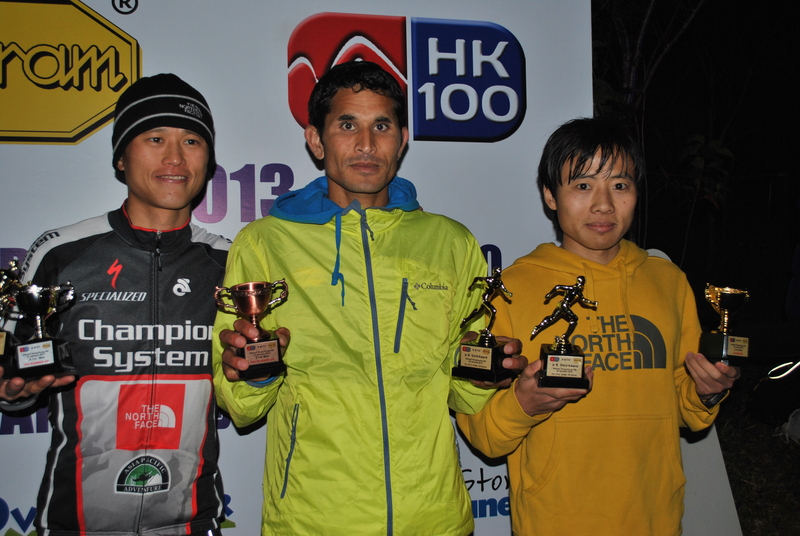 The Overall Champion in the race went to Yun Yan Qiao of China with a finish time of 10 hours and 16 minutes. He finished 5th place last year with a time of 11 hours and 1 minute. The 2nd Place went to Stone Chang of Hongkong with a finish time of 10 hours and 19 minutes where he led by 16 seconds from the 3rd runner. The 3rd Place went to Ram Kumar Khatri of Nepal who registered a finish time of 10:19:59 hours. On the Ladies Division, British Claire Price of Hongkong got the Ladies Champion Award with a time of 11 hours and 58 minutes which is a new course record by 20 minutes. She placed #14th Overall Finisher besting Marcelo by 10 minutes. “We will continue to discover, develop, and expose our best local ultrarunners to international events as we have the potentials to become podium finishers on these races”, was asserted by Retired AFP Major General Jovenal D Narcise, Founder and President of the Philippine Association of Ultrarunners (PAU), the country’s Sports Federation for Ultrarunning and the Team Manager & Coach of Team Elite Bald Runner. In addition, he said, “It’s about time for our local Sports Corporate Firms & Companies to come into the picture in supporting and sending our elite ultrarunners in this kind of international events”. With Marcelo & Gerald’s accomplishment and strong performance in the 2013 HK 100 Ultra Run, there is a bright future and potential for this Sports to grow, discover more talents in the country and for our best runners to excel in other international ultrarunning events. 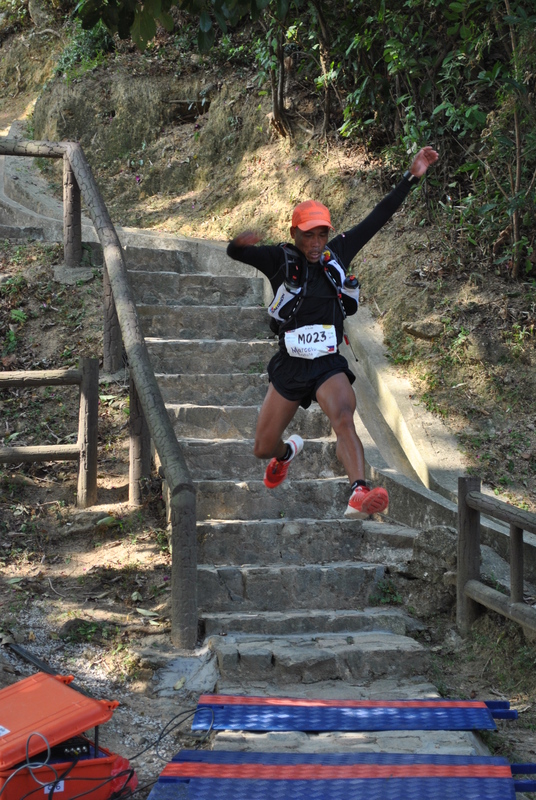 Marcelo and Gerald’s participation in the Vibram HK100 was principally sponsored by Andre Blumberg of Hongkong who is also an avid ultrarunner travelling around the world to participate in ultrarunning events. This is the second year that Andre Blumberg had supported our elite runners to the HK100. Members of the Pinoy Ultramarathoners Group and PAU runners have also contributed on the training and other miscellaneous expenses for the two elite runners. 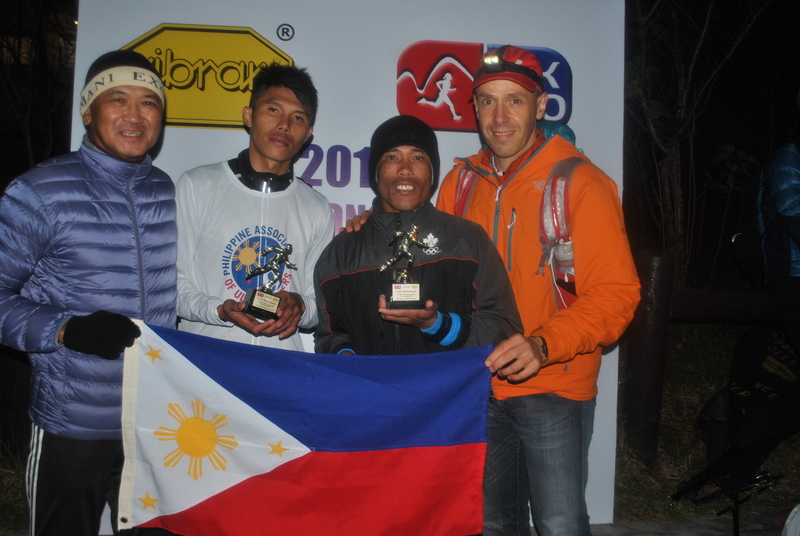 Marcelo Bautista and Gerald Sabal are presently the top elite ultrarunners of Team Bald Runner. sir.narsice agyamannak ti suportam ken ading ko marcelo.keep up sir.and more power sa baldrunner.i wish sir marami pang kayong matulogan.congrat to marcelo and gerald cg.god bless sir. thanks for reading and you are welcome. we will continue on our effort to send our best athletes to international events. Marcelo’s First International Race carrying the Philippine flag.